Manually tuning MPI runtime parameters is a practice commonly employed to optimise MPI application performance on a specific architecture. However, the best setting for these parameters not only depends on the underlying system but also on the application itself and its input data. 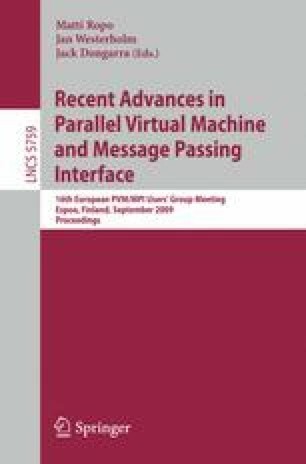 This paper introduces a novel approach based on machine learning techniques to estimate the values of MPI runtime parameters that tries to achieve optimal speedup for a target architecture and any unseen input program. The effectiveness of our optimization tool is evaluated against two benchmarks executed on a multi-core SMP machine. This work is funded by the Tiroler Zukunftsstiftung under contract nr. P7030-015-024.